Small crossover SUVs with a predominantly urban focus have taken over the road. Just look around you. But the segment has splintered into a few directions exemplified by the trio you see here. They’re similar in most ways, but differ enough to corner specific subsets. Newest is the Mitsubishi Eclipse Cross, cousin to the humdrum ASX, rocking more style and tech, and a far superior turbocharged engine, with an associated price premium. 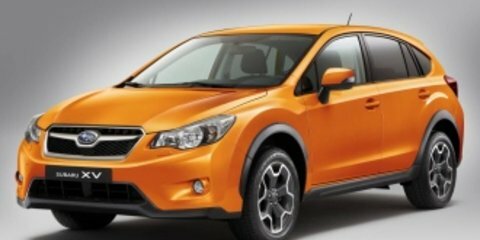 Then there’s the rugged-looking Subaru XV, most like a conventional hatchback here, and yet the only car that can claim any real soft-road ability as a standard feature. Finally, there’s the ever-popular Honda HR-V, a high-riding hatch that offers unparalleled cabin packaging and space, belying its diminutive dimensions. Naturally, we’ll seek to determine a winner, but also explore where each contender shines, and what might be best for your particular needs. Note also the huge list of rivals not here: Mazda CX-3, Hyundai Kona, Toyota C-HR, Suzuki Vitara, Nissan Qashqai… All worthy offerings, but that ‘mega test’ can come another day. We’re testing each of these three cars in their most luxurious forms, though all can be had for thousands less in lower grades. The Honda HR-V VTi-L is priced at $33,340 before on-road costs, making it the cheapest flagship model here. The Subaru XV 2.0i-S is priced at $35,240, and the Eclipse Cross Exceed as tested at $36,000. At these price points, you can get lower-specified versions of each brand’s larger SUV models: the CR-V, Forester and Outlander. But not everyone needs that much space, and a smaller vehicle with more amenities clearly has market appeal. As you should demand, each comes very well equipped. Each gets the following as standard: touchscreen, rear camera, LED headlights, proximity key, heated leather seats, sunroof and autonomous emergency braking. All have the full complement of airbags for front and rear passengers, and the maximum five-star crash score from safety tester ANCAP: the Eclipse Cross and XV have 2017 date stamps, the older HR-V a 2015 stamp. There are some discrepancies in equipment, though. For instance, the Honda is the only car without Apple CarPlay/Android Auto, digital radio, rear cross-traffic alert, active cruise control and blind-spot monitoring. It’s showing its age slightly. However, we should add that for $1000 you can option the ADAS package that adds forward collision warning (a system that alerts you if an object is oncoming too quickly), lane departure warning and auto high-beam headlights. On the other hand, the Eclipse Cross is the only model here missing out on integrated satellite-navigation, relying instead on phone mirroring. If you’ve an iPhone like me and dislike the CarPlay’s Apple Maps integration, you’ll need a phone mount and a Waze/Google Maps download. On a positive note, the Mitsubishi is the sole offering here with high-end creature comforts such as a glass flip-up head-up display (HUD) and a 360-degree camera view, however there are some issues as we will address in the next section. It also has a system designed to minimise the risk of wrong-pedal rear-enders, by shutting off the accelerator if something is close by and you’re in D.
The Subaru offers all the key safety equipment, conventional sat-nav, and comes standard with all-wheel drive (AWD), which is a $2500 option on the Mitsubishi and unavailable on the HR-V at all. As such, it’s hard to go past the Subie as a value proposition, though you should keep in mind that the well-specified Mitsubishi is still very new to market, and may soon be subject to some price-sharpening. The Honda feels like it needs some mid-life upgrades, and indeed we’re expecting some small spec improvements around July. What are the priorities for small SUV buyers? There’s no hard and fast rule. 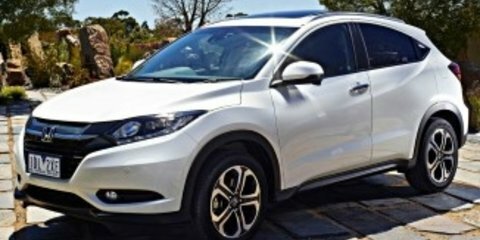 However, if cabin flexibility and clever use of space are key for you, then go no further than the Honda HR-V, which mirrors the Jazz hatchback’s leadership in this area. Despite being 111mm shorter than the Mitsubishi and 171mm shorter than the Subaru, it’s easily the most practical model in the class. Bafflingly so, in fact. This comes down in large part to the company’s patented Magic Seats – back seats that fold flat and low, almost into the floor, or which scrunch upwards at the base to allow the through-loading of tall items like house plants. The cargo area is the lowest (its loading lip came up to my knees) and deepest here, with a very respectable 437L of storage that about equals a much larger Mazda CX-5’s, expanding to a van-like 1462L with the back seats folded down. Despite being shorter than a Toyota Corolla, the HR-V also offers enough rear seat leg room for two adults north of 183cm (6ft), though the massive sunroof does impinge on head room slightly. The door apertures and raised seats make accessing child seats easy. Up front, the cabin remains a relatively nice place to be despite its advancing age. There are soft contact points and tasteful silver inserts (albeit ones that reflect excessively with the right angle of sunlight), and storage features such as a cubby below the transmission tunnel, and expanding centre cup holders deep enough for a 750L bottle. The front seats have ample adjustment and a slightly raised driving position, and the bonnet slopes away to improve frontal vision, though that big C-pillar impinges rear vision. There’s also no digital speedo aside from a tiny one on the centre screen. We’d also prefer this HR-V to get the Civic/CR-V’s infotainment system sooner rather than later, not just for its smartphone mirroring, but also because the fitted system at present feels and looks a little aftermarket and old hat. Though do buyers mind? Sales say not. The Subaru XV’s interior is a huge step up over its predecessor, with really nice presentation and the largest (swiping) touchscreen here. Everything feels well made and tactile, and there are no fewer than four USB points, ensuring all devices shall be charged. There are also typical Subaru features such as the nerdy screen atop the dash that shows roll/pitch angles and torque distribution diagrams, while the digital speedo on the instruments very helpfully shows you the speed limit so you can compare/contrast. The heated leather seats are particularly comfortable and the steering wheel – any car’s key contact point – is the most premium. The driving position is quite car-like, but you still sit up higher than in a regular hatch. The A-pillars are super-slim, helping outward visibility. There’s also the most amount of rear leg room here, with plentiful space for four big adults in the car, though the crappy halogen cabin lights take the edge off. The XV also has the smallest sunroof on test, with the opening only letting sunlight onto the front seats. The boot is also the shallowest and least capacious here, at a meagre 310L, and the 60:40 folding back seats (the smaller section is kerbside) don’t go completely flat. It’s still a spacious little hatch, but the Honda is far more practical for those carrying big items. This brings us to the Eclipse Cross, the tallest car here that feels the most SUV-like from behind the wheel. While there are obvious ASX touches such as the dials and steering wheel, there are plenty of premium tactile materials used throughout – though the abundance of glossy, glaring, dust-drawing black plastic on the fascia is annoying. There’s a protruding centre stack with a floating tablet screen on top controlled by a touchpad like the Lexus’s rather than a BMW-style rotary dial. However, the user experience this time is much friendlier, with simple tiles on the screen for key functions. There are also good seats with better foam density than the ASX, more side bolstering and thicker cushioning, and a flip-up glass head-up display (HUD) that gives you the coveted digital speedo, though it doesn’t adjust low enough for taller drivers. On this note, the 360-degree camera is great in theory, but fuzzy in practice. There’s good interior storage comprising big door bins, a double-compartment glovebox, console with sunglasses tray, and an underfloor cargo box. To the back seats, which don’t fold quite as flat and low as the Honda’s, but which have their own neat party trick: they each slide up to 200mm on rails, and recline across a 16-degree arc, up to 32 degrees overall. This means you can pull the rear child seat closer to you up front, or expand the size of the cargo area. On the downside, while Mitsubishi claims there’s ample head room, that two-pane sunroof eats into it, conspiring with the wedge-like body to make it the most cramped on test. At least the back passengers get their own roof opening, though. The 341L boot is middle of the pack, though if you bring the rear seats forward this expands to a Honda-beating 448L. The 60:40 seats (the smaller section is on the driver’s side) don’t fold as flat or low as the HR-V’s, however. One neat touch is the dedicated storage area for the removable cargo cover. Neat. Determining which cabin is best depends on each buyer’s user case. The Honda wins on practicality, the Subaru on ease-of-use and back seat room, while the Eclipse Cross has some cool tech and a premium, modern vibe as befitting its price. None of this trio are rocket ships, designed as they are for urban surrounds and the odd drive to the country. The Honda has a 1.8-litre naturally aspirated petrol engine making 105kW of power and a weedy 172Nm of torque, though at 1347kg it’s at least the lightest car here. The Subaru has a 2.0-litre flat four making 115kW and 196Nm lugging its 1444kg kerb weight. But the 1490kg Mitsubishi has a new 1.5-litre turbocharged engine with 110kW, yet a much stronger 250Nm of torque, or pulling power. All three use fuel- and cost-saving continuously variable automatic transmissions (CVTs), with the Subaru and Mitsubishi units further programmed to offer stepped ‘ratios’ or shift points for a more conventional dynamic. The Eclipse even has Lancer Evo fixed paddles. Best drivetrain of the bunch is the Mitsubishi, because its peak torque is on tap just above idle point, giving you a much more effortless and responsive feel. The Subaru and Honda both feel breathless and emit excessive straining noises under heavy throttle up hills, and with a load of passengers. They’ll sit at freeway speeds easily enough and get you from A to B, but are about as inspiring to pedal hard as plain muesli. If you’re a target buyer, there’s a fair chance you care not one bit about such things. But if you do, may we suggest the Hyundai Kona 1.6 Turbo with AWD as a good option. All three will happily run on 91 RON petrol, and have claimed combined-cycle fuel economy of 6.9L/100km (Honda) to 7.3L/100km (Mitsubishi), but we averaged around 20 per cent higher on all three. The Honda is only available with front-wheel drive, whereas the Eclipse Cross can be had with FWD as it is here, or with AWD for another $2500, albeit only in Exceed guise, taking the price to $38,500 before on-road costs. Subaru does things differently. The XV is only available with AWD, and unlike the Eclipse Cross’s reactive on-demand system, is a permanent symmetrical system. It can actually handle basic trails. So, the Eclipse Cross has the best engine here and there’s no real fuel economy impost, but if you want AWD, be prepared to pay extra. The XV is second, but only because it’s slightly less dull than the Honda. Given this trio are basically pumped-up small cars, none are particularly sporty. Nor are any designed for anything harder than a gravel trail. The extra height and clearance are more likely to be used to help urban road visibility, and hop over speed bumps and corrugations more easily. The Honda HR-V comes with front-wheel drive only, and has a nice high driving position combined with light, albeit feel-free, electric steering that makes it easy to manoeuvre, aided by its diminutive dimensions. Dynamically, the ride is relatively soft and isolates you well from your average pockmarked road, though it pitches and rolls through corners and has the worst road noise suppression here. The tyre roar at highway speed is quite marked, particularly when making Bluetooth phone calls on the go. From an engineering perspective, the Eclipse Cross isn’t quite as new as appearances suggest. 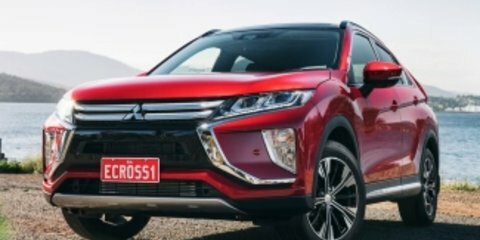 It’s the final Mitsubishi to be developed with the current ASX’s platform before future models port across to architectures developed by (or with) Alliance partners Renault and Nissan. Credit to MMC, though, for doing significant dynamic reworking, including an extensive testing regimen in hot, dusty and corrugated-road-wielding Australia. It drives better than the ASX without question, though vague allusions to it being ‘coupe-like’ are a stretch. Yet it offers a comfortable, compliant ride around town, with good noise and vibration insulation, pleasantly light steering and a high seat height. Push it harder and you notice some body roll against lateral cornering forces, which is to be expected. For $2500 you get the optional Super All Wheel Control (S-AWC) all-wheel-drive system with selectable Auto, Snow and Gravel modes that adjust the throttle, ESC and gearbox mapping/calibration. The Subaru gets permanent AWD as standard, giving it some soft-roading credentials. It also has the best overall ride quality here, dispatching even particularly nasty ruts and corrugations, while settling quickly after speed bumps and staying flat through corners. The steering is also quick from centre. If the engine weren’t so gutless, it’d be properly good fun to throw about, yet it doesn’t sacrifice comfort. The NVH suppression is also better than the Impreza hatchback’s, addressing a key weak point. On the downside, the camera-based active cruise control beeps and chimes annoyingly at odd intervals. And the upside is the feature that prompts you to get going in traffic if you’re distracted. Which, of course, you shouldn’t be. Dynamically then, it’s the quiet and composed Subaru that edges the Eclipse Cross, though the latter has the better means of propulsion. The HR-V is lovely in town, but the worst here for weekend getaways. And the loudest/least refined. Both Mitsubishi and Honda Australia offer five-year factory warranty cover, the former with a 100,000km ceiling and the latter with no distance limit. Subaru has a three-year/100,000km warranty (edit: Subaru Australia in fact has a three-year/unlimited km warranty) as standard, with five-year cover an option. From a servicing perspective, the Mitsubishi has excellent 12-month/15,000km intervals, with the first three visits to cost $1100 all up. Honda has shorter 10,000km intervals between services, with the first three visits to cost $880. There’s also a complimentary 1000km early check-in. Subaru made a point of improving its servicing costs with the new XV, because its cars have always been very expensive to maintain (offset in part by excellent resale values, to be fair). The new XV’s service intervals are 12 months/12,500km and the first three visits will cost $1298.19, plus a free one-month ‘health check’. Gee, this was a close-run test, and really shows the breadth of choice in the small SUV class at the moment. The Honda HR-V may be getting on in years, but as a practical high-riding hatchback, it’s impossible to beat, while the Mitsubishi Eclipse Cross looks snazzy, has an excellent interior design and most certainly the best engine here. But the Subaru XV is the one I’d drive away in, despite its sub-par boot space and uninspiring engine, on the basis of strong value, distinctive chunky looks, standard full-time AWD, good back seats and well-sorted dynamics. But seriously, there’s no bad choice in this set.